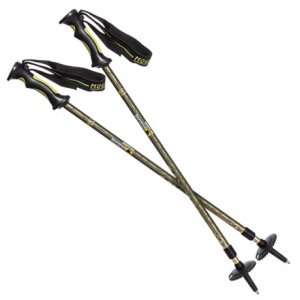 Gabel Predator Trekking poles are specifically designed for kids. 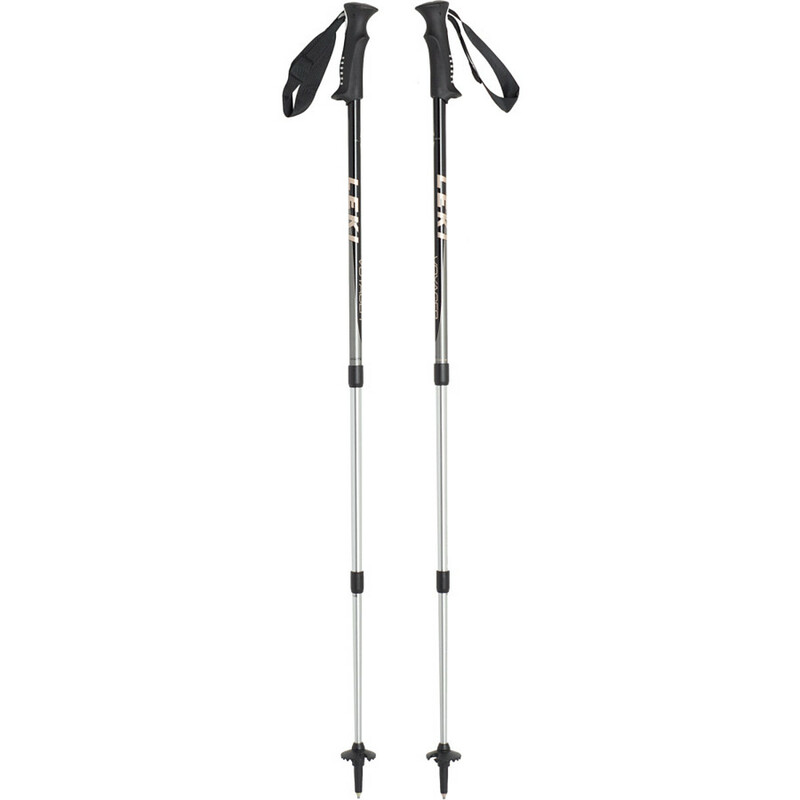 They are made of the same high quality materials and to the same stringent specifications as Gabel's adult poles. The 2-section, 7075 T651 Series heat-treated Aluminum shafts have diameters of 16/14mm.They adjust from 68-108cm (26"-43"). The newly created L.L.S. - Lite locking system is the lightest locking mechanism in Gabel's product line. 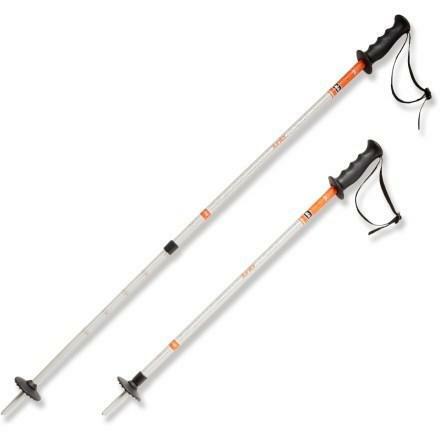 A couple simple twists is all it takes to quickly adjust your poles. They have comfortable Mid Size Soft grips with a 15-degree positive angle incorporated into the grip that keeps your wrist in a neutral position during pole plants. Adjustable webbing straps easily adjust with a 3/4" ladder lock buckle. 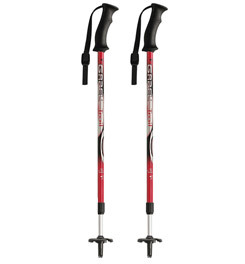 The steel pole tips offer a secure hold on any terrain or surface. Colors: Red, White and Black. 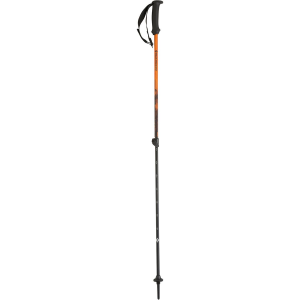 Pack Length 27.5". Weight 13.4 oz. 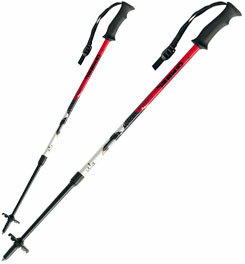 per pair. Made in Italy. Mid Size Soft grips: smaller sizes to fit smaller hands, they also have a 15-degree positive angle.Adjustable straps: adjust easily with the use of 3/4" ladder lock buckles.Thermo sublimation Graphics: scenic wrap on upper poles with anti-scratch protection.LLS- Lite Locking System: Newly created at Gabel, it is the lightest locking mechanism in the product palette. Perfect in its shape, it has been designed in only two components: the shaft and the expander which is directly obtained by extraction from the shaft. This exclusive production procedure ensures maximum resistance and hold power.Steel Pole Tips: offer secure hold on all terrain and surfaces.Performance Disk Baskets: 2 1/4" diameter baskets slide on to give support on soft ground. 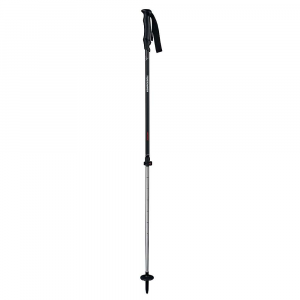 The Gabel Predator is not available from the stores we monitor. It was last seen November 14, 2012	at Campmor.